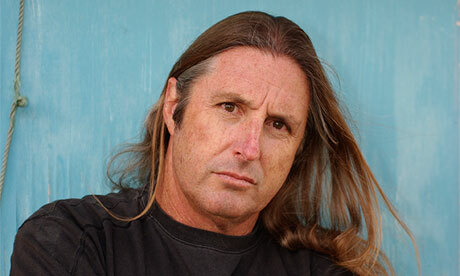 Tim Winton, Kate Chopin, Ernest Hemingway- a crowd of rat-bags or visionaries? What a question I have posed? I think all three authors push the boundaries of convention, but they do so in a way that alerts the reader to the restrictiveness of the way most of us go about our lives. In Tim Winton’s “The Sand” the sand dunes are perhaps the major character, the one which enables the reader (and the characters) to see the way lives are constructed: full of laughter, fun, song… anger, sadness, fear, jealousy, murderous rage…. the whole gammut of human emotions evoked in a setting that is vividly conceived in the descriptions of the sea, the sun, the moon, the sand… So Winton, I believe vividly captures life in all its complexity. As does Kate Chopin in her wonderful story “The Story of an Hour”. Feminist drivel or visionary insight into the inner world of a young woman momentarily freed from conventional social constraint? Her experience locked away in her bedroom, coming to terms with the death of her husband is a powerfully created drama of a soul wrestling with its own destiny. How can trees, clouds, blue sky be painted with such extraordinary symbolic overtones? Everything in Chopin’s descriptions resonates with deeper meaning. And then the tragic conclusion… who is the winner here? Is the winner in fact the heart that has been momentarily freed from its prison of convention? Is Mrs Mallard “free” in her death? Or is her freedom totally illusory? And Hemingway‘s two barmen are similarly trapped in prisons of their own making. The younger barman is stuck in a world where is forced to be unkind to an old man- because he needs to fulfil his own and his wife’s demands on his time. The older barman, more sympathetic, more human is also stuck in his insomnia, his need to go bar- hunting (not bear hunting!) after he has to close his “well-lighted” coffee shop. But his stuckness is, it seems to me, to be alleviated by his human search for meaning IN the nothingness that he experiences in the closing scenes of the story. His is alive, like no other character in the story. There is something very present about him. I get a sense that Hemingway might well have been putting himself into the character of this older waiter…. Thoughts? I wonder what you think: I am looking forward to reading your essays to see what conclusions you have come to. This week the focus is on finishing your second writing assignment- so no new blog topics for this week: but please feel free to comment on each other’s blogs (either on their WordPress blog sites or on their student blogs in LEO). ← Thomas Hardy: Searching for Ballast in a Crazy World! A lot of Winton’s writings seem to have a similar theme: growing up in a small town on the W.A. cost after the whaling business has closed down. However I do like the diversity shown in Cloud Street, and also the Lockie Leonard series. He surely is a talented storyteller. I read his graduation (or was it his doctorate acceptance) speech recently. He certainly is an inspiring man. Hemingway and Chopin, I am sure I will study further this year when I do 20th Century literature. I have just finished writing an essay which includes my own textual intervention of Edgar Allan Poe’s story “The Man of the Crowd”. I enjoyed it immensely.